When will be Hangout Music Festival next episode air date? Is Hangout Music Festival renewed or cancelled? Where to countdown Hangout Music Festival air dates? Is Hangout Music Festival worth watching? Surf, sand, and songs collide as AXS TV presents the Hangout Festival for the first time ever, offering up one of the most unique and eclectic venues on the festival circuit, as some of the biggest names in rock, indie, hip-hop and EDM hit the sand at the beautiful beaches of Alabama's Gulf Shores. This year's lineup includes Alabama Shakes, Panic at the Disco and Walk The Moon, among others. 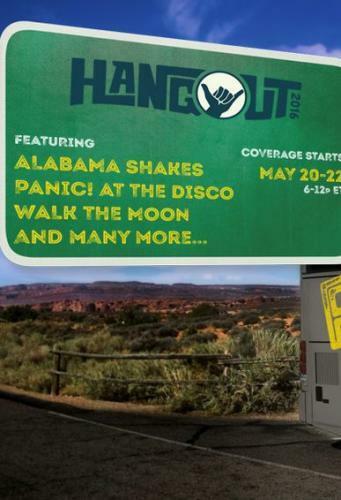 Hangout Music Festival next episode air date provides TVMaze for you. EpisoDate.com is your TV show guide to Countdown Hangout Music Festival Episode Air Dates and to stay in touch with Hangout Music Festival next episode Air Date and your others favorite TV Shows. Add the shows you like to a "Watchlist" and let the site take it from there.